Maitland, FL — As the specialty pharmacy industry continues to experience exponential growth, more specialty pharmacies (SPs) are seeking the credibility, opportunities, and competitive advantage that follow accreditation from independent organizations like URAC. The accreditation process itself helps specialty pharmacies improve their processes to meet the demands of today’s value-based reimbursement environment. But accreditation is not an easy process to go through. Preparing in advance can help specialty pharmacies avoid potential major hurdles. Considerable changes were made to the patient management standards when URAC released Specialty Pharmacy v3.0 Accreditation in 2015. All specialty pharmacies applying for accreditation and those preparing for reaccreditation should understand these changes. To help SPs understand and prepare for the URAC Specialty Pharmacy v3.0 patient management standards, Therigy® and Cleveland Clinic will host a free online educational webinar titled URAC Specialty Pharmacy v3.0 Accreditation: Learn Insider Tips to Satisfy the Latest Patient Management Requirements on Tuesday, July 11, 2017, at 1:00 pm EDT. Therigy and Cleveland Clinic will present the key changes in URAC Specialty Pharmacy v3.0 standards that impact patient management and specialty drug management. The webinar will also detail the important role that technology can play to help automate, standardize, and scale workflows to make satisfying the new requirements much easier. URAC is currently the most influential independent accreditation agency in the specialty pharmacy industry, experiencing more than a 200 percent growth in the number of accredited specialty pharmacies from 2015 to 2017. Payers, pharmacy benefit managers (PBMs), and drug manufacturers increasingly turn to URAC accreditation to ensure their contracted specialty pharmacy partners have the operational, logistical, and clinical expertise to meet higher quality standards in specialty care. URAC accreditation is based on key pillars that include measuring and reporting performance, implementing and managing pharmacy care plans, making therapy recommendations, assessing and reassessing patients, collaborating with patients’ physicians and other healthcare professionals, and having data that directly connects interventions to patient outcomes. In addition to presenting strategic approaches to these accreditation requirements, the webinar will discuss how platforms like TherigySTM™ can play an invaluable role in specialty drug management, drug utilization management, patient safety, and patient management—as well as providing the tools for outcomes reporting to URAC. If you’re ready to learn insider tips, tools, and strategies to make earning your URAC Specialty Pharmacy v3.0 Accreditation easier, visit the webinar homepage to register for Therigy’s free webinar on Tuesday, July 11, 2017 at 1:00 pm EDT. 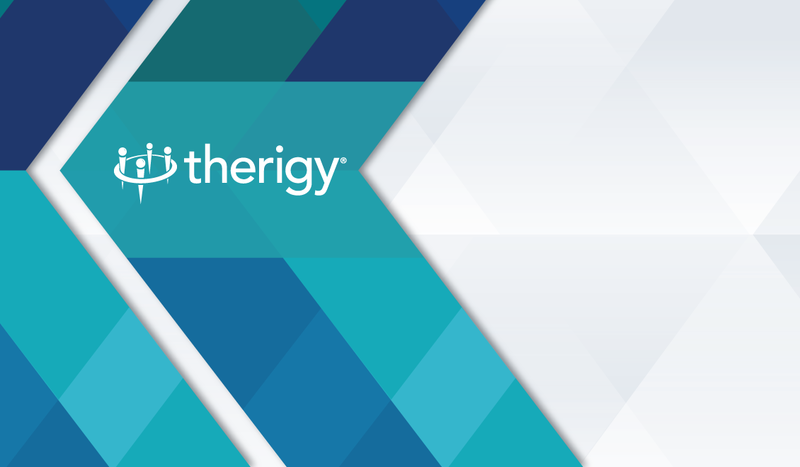 Therigy® is a patient-focused specialty therapy management company. As an industry pioneer, Therigy continues to lead the specialty pharmacy market as the top choice in technology and consulting solutions—with the best possible outcomes for patients in mind. Therigy equips pharmacy stakeholders with the tools to standardize and scale patient management programs—with a depth and consistency of clinical care never before possible—helping them to deliver value-based outcomes, gain insights into evolving patient needs, and predict therapy trends. Learn more about Therigy at www.therigy.com. Cleveland Clinic is a nonprofit multispecialty academic medical center that integrates clinical and hospital care with research and education. Located in Cleveland, Ohio, it was founded in 1921 by four renowned physicians with a vision of providing outstanding patient care based upon the principles of cooperation, compassion, and innovation. Cleveland Clinic has pioneered many medical breakthroughs, including coronary artery bypass surgery and the first face transplant in the United States. U.S. News & World Report consistently names Cleveland Clinic as one of the nation’s best hospitals in its annual “America’s Best Hospitals” survey.